Getting a good night sleep is something that I never take for granted. I struggle to sleep peacefully and have done now for a good few years. It is typical that I would be writing this post having been lying awake since 4:30am. This post was not planned for today, I haven’t had much time this week to write any content as I have been working late every night, however, I decided to just get up, be productive and write this post before I head off to work this morning. It’s Friday, or as some like to call it, Fri-yay. I break up for Christmas today, hallelujah. 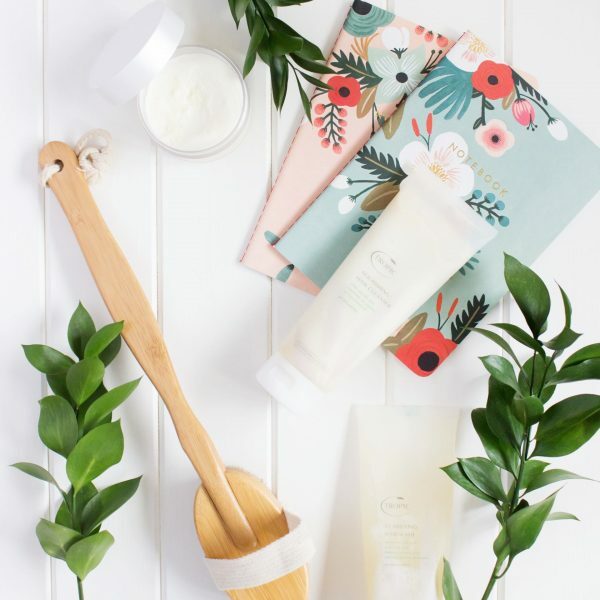 Over the past few weeks, maybe longer actually, I have been trying out a couple of products from Tropic. 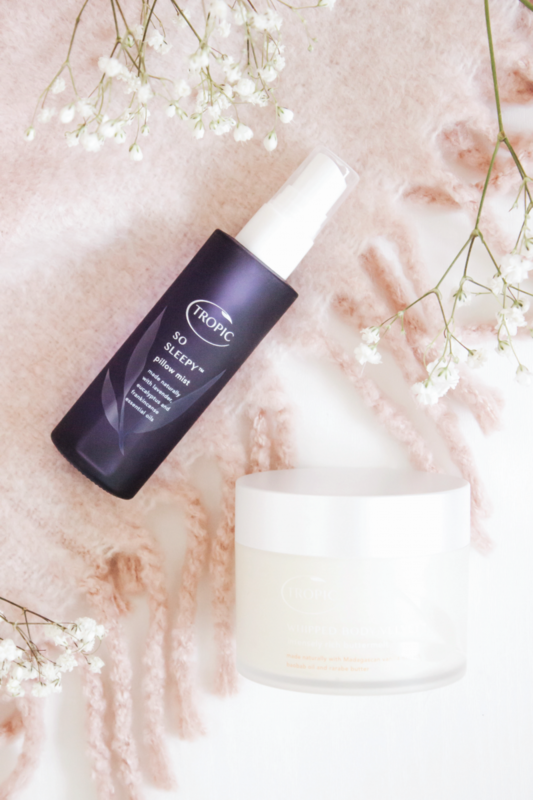 This year I have had the pleasure of using a couple of things from them and have so far had pleasant experiences, therefore naturally I had high hopes for the next two products which I am featuring today. 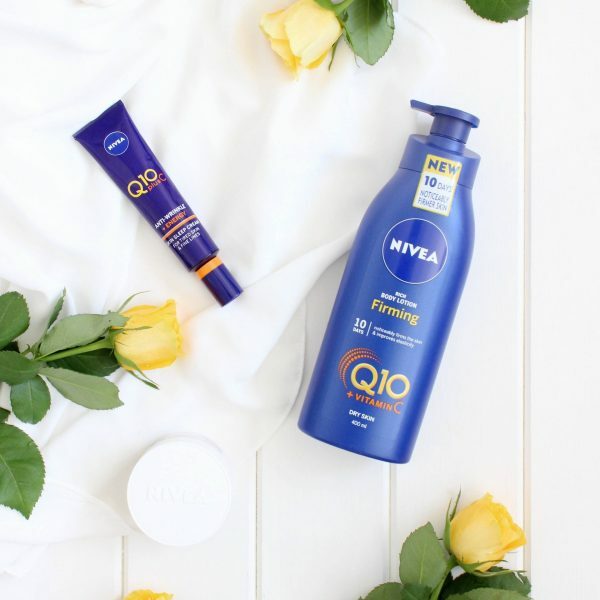 I have tailored this post towards sleep and relaxation as I think these two products are perfect for that concept. The Tropic So Sleepy Pillow Mist* arrived just in time as I had been using the L’Occitane Relaxing Pillow Mist which I featured within my most recent empties post. I think overall, I actually do prefer this version, it seems to have a sweeter scent to it and the spray itself is lighter and seems to spread more finely across the area in which it is used. As I mentioned in my empties post, I am somewhat sceptical at how much pillow mists do help you to fall asleep, however, I do believe that they help to relax you as they do provide a calming environment. The Tropic Pillow Mist has a blend of lavender, eucalyptus, frankincense and other essential oils, all encased within a beautiful glass bottle which I think adds to the presentation of this. It is a really lovely product, perhaps somewhat of a ‘princess’ product, however it can’t hurt once in a while can it. The next product is by far my favourite product which I have tried from Tropic so far, it is the Tropic Whipped Body Velvet Intensely Rich Buttermelt*. It may be a mouthful to say, however the product is beautiful and I do not say that lightly. It takes a lot to impress me with a body product, it truly does. I am nine times out of ten a £6 body lotion girl, that is more than enough for me. However, I have to say that for a treat, I would love to receive this. When I first received this, I presumed that it would be a body lotion texture, however upon use it is just like dipping your finger into a chocolate mousse; that is the only way that I can describe it. It is so soft and fluffy to touch, yet when applied it instantly melts into the skin and turns into a balm/oil consistency. It is lush! 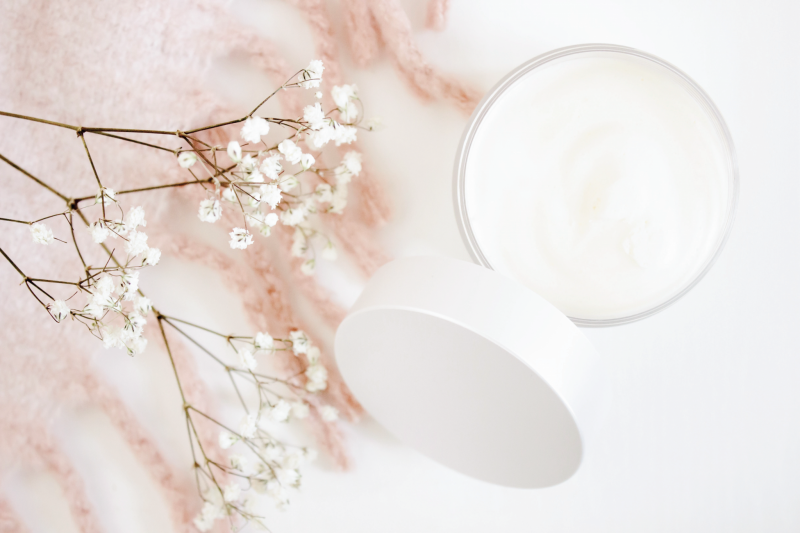 This leaves my skin feeling really hydrated and silky soft and despite the texture of this once applied, it does not take long to sink into my skin at all, therefore I can always put my pyjamas on without standing there waiting for the product to sink in. The scent of this I think leans towards vanilla more than anything else, it is calming and not over powering in the slightest. In fact, if I were to be critical about one thing it would be that I think the scent could perhaps be a little stronger, however that is only a minor comment. Overall, I have found both of these products to be a success, neither are necessary but I think they are both beautiful and would make lovely gifts this Christmas for your loved ones.